Hamster Club on Pink Panther TV programme dated 6th April 2013 - One TV. Pink Panther is a TV programme about animals and pets. Ms. Nevise Borg Caligari, the presenter of Pink Panther, invited Hamster Club and enquired about all the relevant information one should know about hamsters. We thank Ms. Nevise Borg Caligari for her invitation. The program was aired on 6th April 2013 and a repetition took place on 7th April 2013. 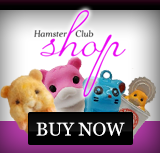 - The most important things that one should know about hamsters. - Things you need in order to keep a hamster. 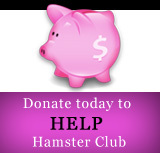 - Types of hamsters and in depth information about every hamster breed. - What to feed your hamster. - Hamster health including in depth information about hamster colds, how to prevent such colds and how to treat them.